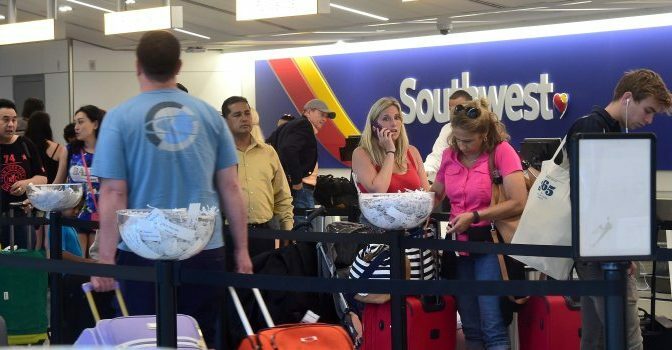 Southwest To End Overbooking on Flights By June - I Think, Therefore I Rant! Southwest Airlines said it would end overselling of seats on its flights by the end of June, accelerating the move in the wake of the furor surrounding efforts to remove a United Airlines flier earlier this month. Airlines typically sell more seats than an aircraft’s capacity because of no-shows, though Southwest’s focus on airport-to-airport flying means it is less exposed to delayed connecting passengers compared with carriers such as United Continental Holdings Inc. that operate big hubs. Southwest typically oversells just one seat on a jet carrying 143 passengers and expects a “fairly small” revenue impact that would be counteracted by a drop in costs from lower compensation payments. But Southwest required almost 15,000 passengers to give up their seats involuntarily last year—more than the combined total of United, American Airlines Group Inc., and Delta Air Lines Inc. Some 80% of the Southwest total was caused by overselling, with the balance to make way for airline crew, said executives on a quarterly earnings’ call Thursday.